New Single, “Malania” from MPeach! Dutty Artz is immensely proud to announce the new album from Matt Shadetek The Empire Never Ended, his second solo effort. The album will be out March 26th 2013 via Dutty Artz. The record is a mix of instrumental and vocal tracks which fuse Shadetek’s love for new sounds with the street knock of Rap and R&B. Guesting on the record are Riff Raff, Troy Ave, Chan Dizzy, Aku Orraca Teteh and Jahdan Blakkamoore. “After I moved back to NYC after living in Berlin I wanted to make something more local” Shadetek says “I grew up on rap music but there was a moment where things just got really boring and my interest went elsewhere. Lately things are getting interesting again.” You can listen to Madness from The Empire Never Ended over at Pitchfork. A good friend of mine, Brooklyn Shanti has been rocking the mic since he was 12. Over the past year Shanti has been doing a great amount of work in India. Two of his most recent projects involve, Rani Rani, which was picked up by a Bollywood film, From Sydney with Love; and Bengla Bass, an original production that was a part of a music documentary show called The Dewarist. Super excited about this new event, BomBeat, that I am launching with my crew Cumba Mela, and Nickodemus from Turntables on the Hudson. Its all going down this Saturday, November 24th at Le Poisson Rouge, in Manhattan. 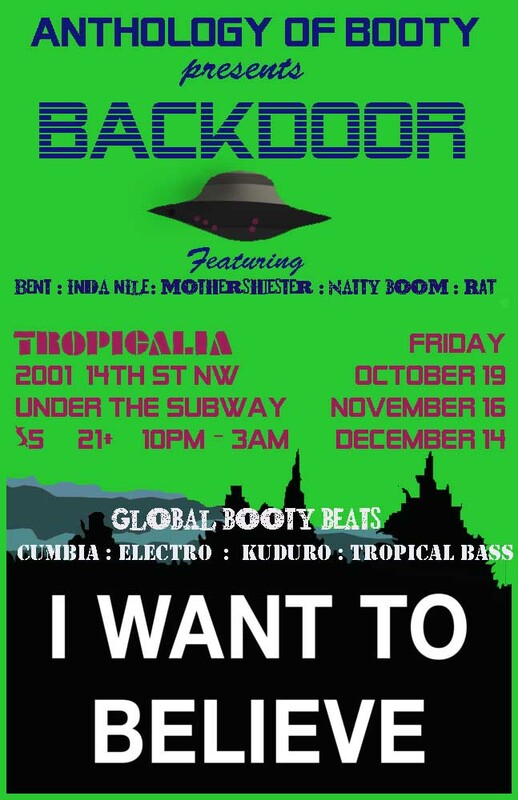 Expect to hear a wide range of global bass music: cumbia, dancehall, kuduro, house, moombahton, reggaeton…. We have Jeremy Sole coming from LA, repping KCRW, TheLift, and Afro Funke. We are going to try our best to get a free EP for ever event. Be sure to check out the first one bellow! We keep it fresh at iBomba and tonight we’re bringing you some guests up from Canada to get you winding. Don’t miss our guest DJ tonight from Montreal, Poirier! AND added bonus, Colombian-Toronto darling, Lido Pimienta will be doing a set, so if you missed her at Que Bajo?! last week, this is your second chance. Ghislain Poirier has become recognized as one of the world’s leading tropical bass DJs, using electro, hip-hop, soca, U.K. funky, and dancehall beats along with vocalists and rappers comfortable with his mesh of those genres. You can download his new Kidnap Riddim for free here. Lido Pimienta, a visual artist and musician from Toronto reppin’ hard for Colombia jumps back and forth from electronic music to afro colombian music with ease. 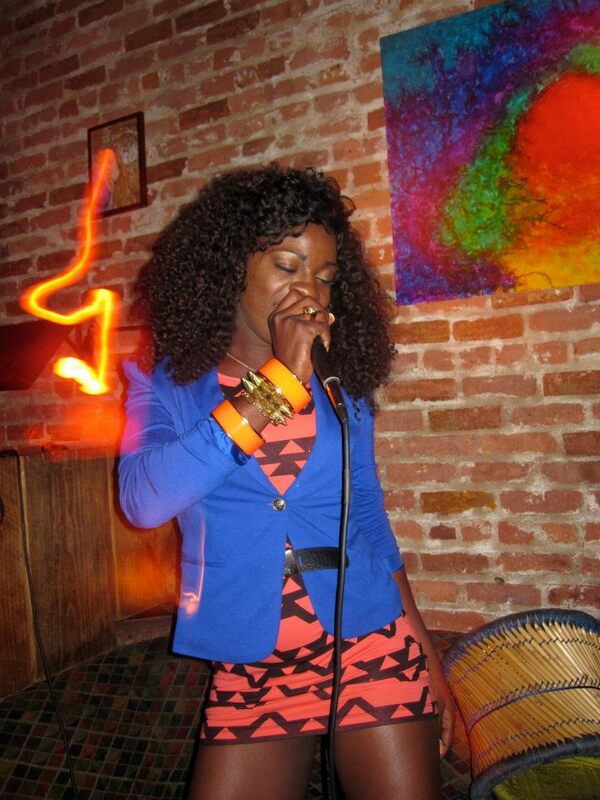 I watched her skillfully blend folkoric Colombian music with electronica at her performance at Que Bajo?! last Thursday, with lyrics steeped in political undertones. A must see. We welcome both of them to the iBomba family to join myself (DJ Ushka) and DJ Beto keep the vibe right all night. For deets on facebook, click here. 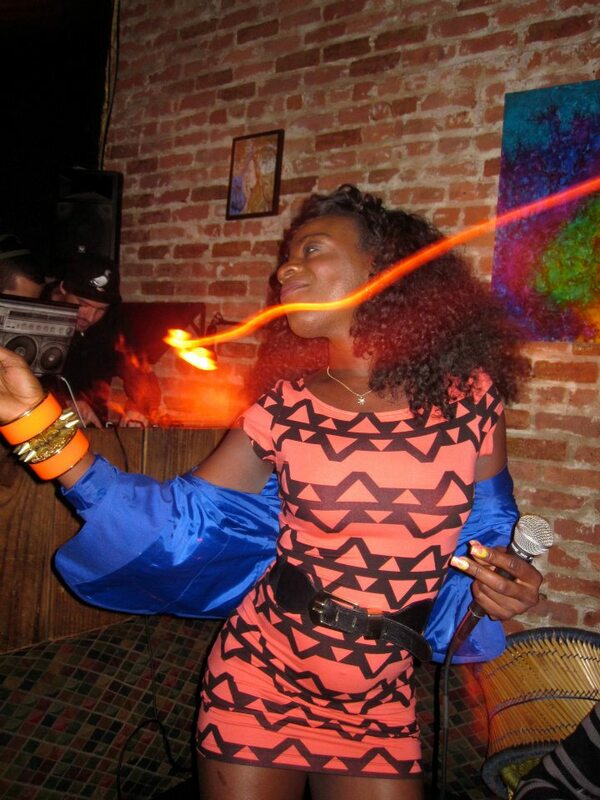 Last month, iBomba at Bembe was on fire with a remarkable performance by Titica, Angola’s kuduro queen and first transgender performer to get international acclaim. Thanks to the collaboration with Chief Boima and Many Tribes One Blood, Titica’s performance at iBomba added to our motivation to challenge crowds and open up a space for innovative performers and DJs to collaborate and shape the dancefloor. It was also what got me in the official mix with Dutty Artz. I’m really proud of the intentionally chosen lineup of guest DJs we’ve had since iBomba took on Mondays at Bembe by storm this year, including DJs Chela, Itch-13 (Sonic Diaspora, Chicago), Rekha (Basement Bhangra) and Ripley (Surya Dub, SF) – who have all added a different sound and vibe to what is becoming a regularly well-attended 2nd Monday of the month. By hosting iBomba, I’ve been able in a sense to curate the nights, purposefully highlighting dope female DJs when we can, and with Titica’s performance last month, hopefully adding to a conversation around queerness in music and performance coming out of the Global South. There’s a lot we have brewing for the summer and beyond, so keep to date with what iBomba is up to. This Monday, May 14th, come hit the floor with us as Cluster Mag mastermind, Max Pearl, guest deejays alongside residents Beto and Mios Dio. Facebook event here. 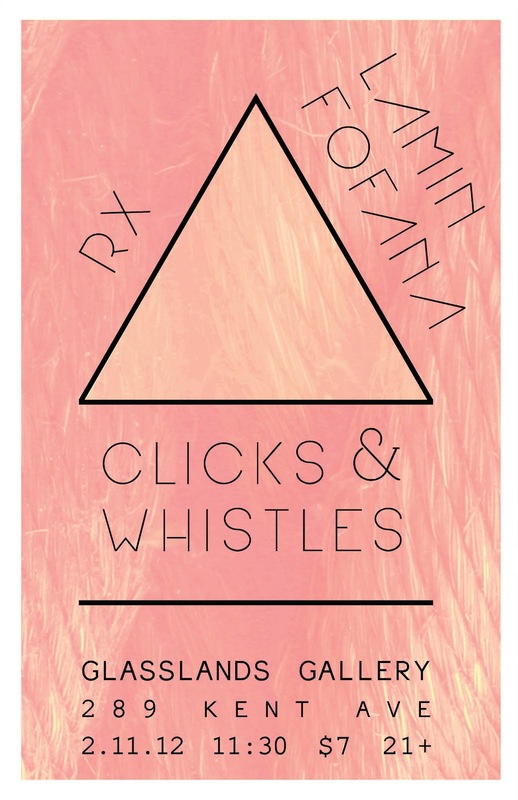 Peep the listing in Remezcla. Cumbia meets Dancehall meets that good Global Bass. Two months ago, I sat down with Mandip Kalsi to talk about New York’s party scene, building community through music, and the move of his Philly-based Dutty Chutney party to New York. 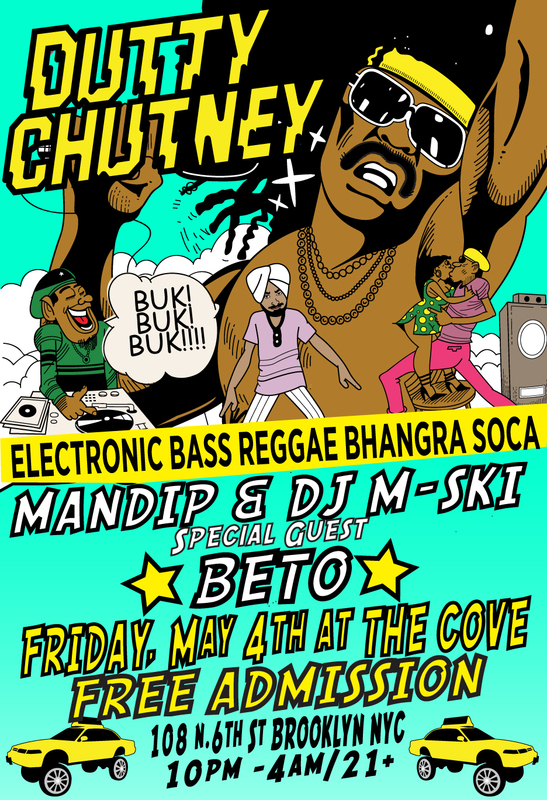 Mandip, one of the resident deejays of Dutty Chutney expressed the intention of the party as a place to blend a variety of genres from the Caribbean to South Asia, electronic to bhangra, soca to reggae, and dancehall to hard-hitting bass. Already known in Philadelphia, we discussed how the move was the opportunity for DC to push the envelope with new guest DJs and add new flavor to New York’s nightlife. I’d never been to DC while it was in Philly, so I got the chance to check it out last month when the homie, Geko Jones, guest deejayed the first DC in Brooklyn. 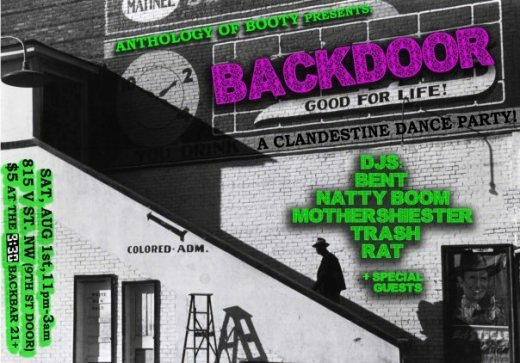 Currently hosted at The Cove, I saw the music attract a diverse crowd, one that in my experience is sometimes difficult to bring out to that part of Williamsburg. And so we’ve been talking about how to keep creating a space that attracts and challenges new crowds, and how to keep growing Dutty Chutney as it finds its niche in New York. 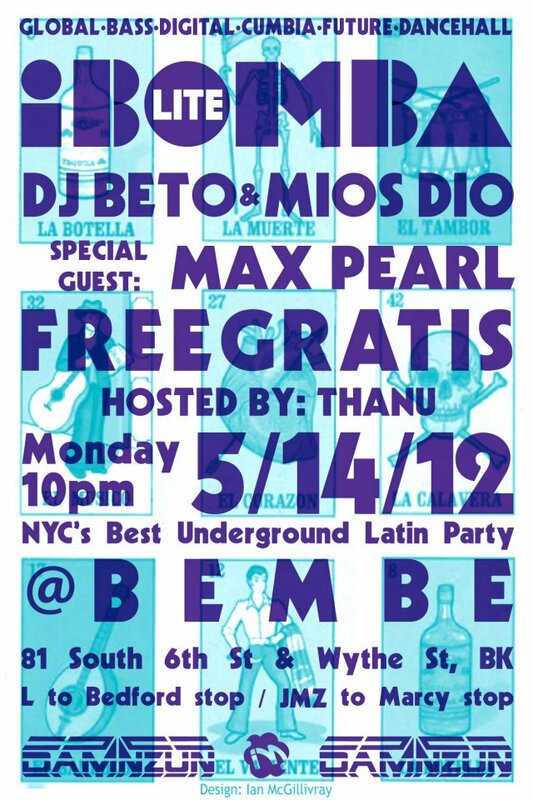 This Friday, guest DJ, Beto (iBomba) tears it up with residents Mandip and M-Ski. As the host of the iBomba, I’ll definitely say you don’t want to miss this Dutty Chutney vs. iBomba clash – future dancehall, future bass, future everything.